Open tryouts for "The Ultimate Fighter 13" took place today in Las Vegas, and nearly 300 prospective cast members took part in the process, including a host of notable big-fight veterans. Open tryout for The Ultimate Fighter 13 took place in Las Vegas yesterday. Almost 300 prospective cast members took part in the process, including notables like Andre Galvao and Karl Amoussou. Also called to the mat was pro-boxer James Toney. Known middleweights taking their shot for TUF 13 are Zak Cummings, Ariel Gandulla, Frank Lester, Robert McDaniel, Jeremiah Riggs, Louis Taylor and Vitor Vianna. Noteworthy welterweights trying out for the season include Levi Avera, Shamar Bailey, Muhsin Corbbrey, James Krause, Jorge Lopez, Bristol Marunde, Estevan Payan, Charlie Radar, Tyler Stinson and Dave Terrel. Promising prospects took their turns in a battery of grappling and striking drills, as they attempt to fulfill their dreams. But the most memorable moment of the day went to the one-armed fighter, Nick Newell. He wowed UFC President Dana White, UFC Vice President of Talent Relations Joe Silva, Spike TV senior Vice President Brian Diamond and the rest of the fighters. Newell executed a dizzying array of submission attempts before tapping his contender out with an omo plata. 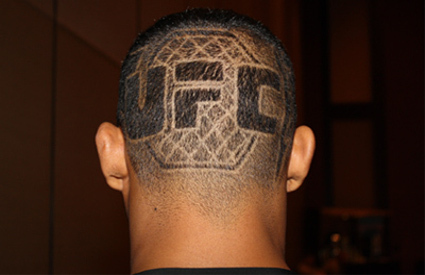 Whether any of the standout performers will make it to the TUF 13 remains to be seen. Announcement for the official cast members will not be made until the spring debut of The Ultimate Fighter 13. But don’t forget to share us your insights on the comments.